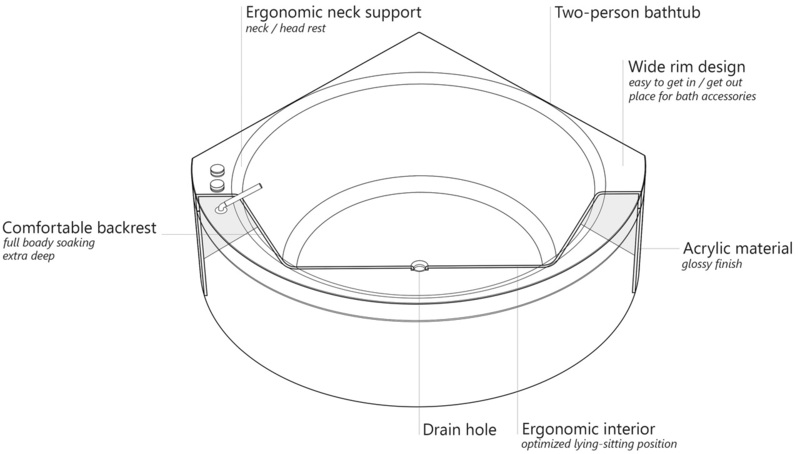 The stunning result is a timeless, attractive 360° circular interior with a distinctly rounded, broad edge (as much as 3.5” (90mm) wide) giving this unique, one of the kind corner bathtub a truly sophisticated look which also provides practical and much needed rim space for accessories and personal hygiene items. 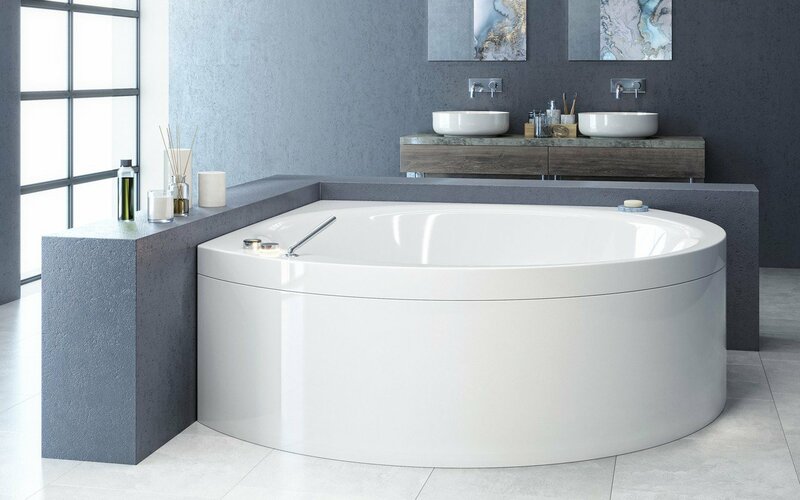 We can state with confidence that Aquatica’s unique Suri is the most beautiful corner bathtub in the market, a design that will become the focal point of any bathroom. 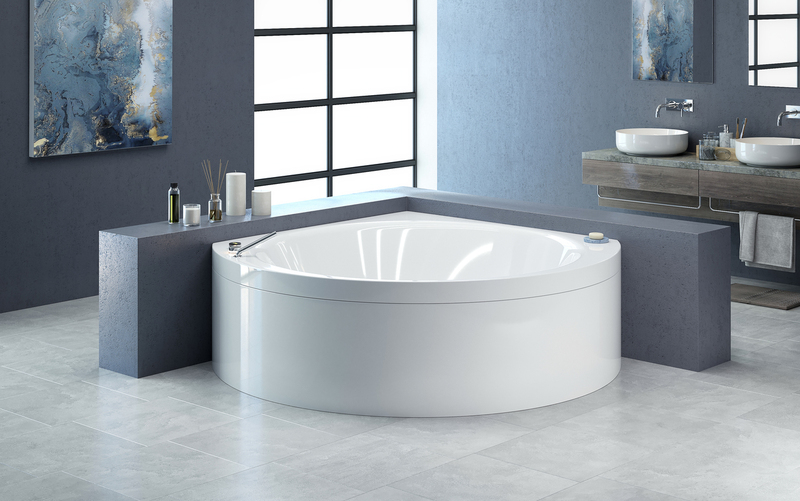 From its ergonomically styled, neck support to the comfortable backrest, this extra deep circular bath has been made with the bather’s best interests at heart. 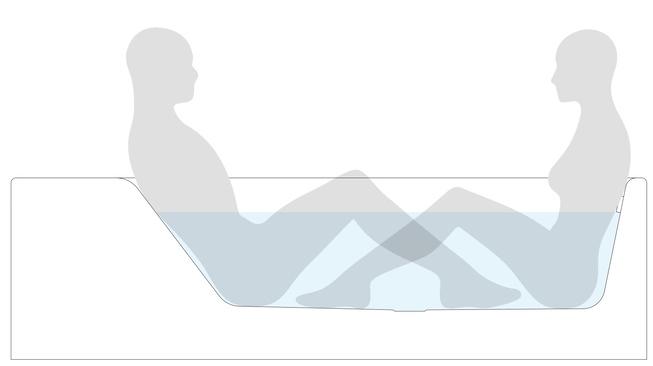 Suri offers an extra deep interior for comfortable full body soaking for two. With wide rims for ease of access and handy storage, a centralized drain and a smooth matte finish using Aquatica’s Lucite® acrylic.